Want random people on the internet to buy stuff from you? If so, you need an email list. I'll show you how to get your first 100 email subscribers. Just click that big green button below. Enter your email address below to get the Jumpstart Your Email List Class. What if there was a proven formula you could follow to grow your business? 1,000 email subscribers: No problem. 100,000 visitors to your website: Absolutely. Contrary to what you might think there are plug-and-play formulas for reaching these goals. Repeatable and scalable formulas. They aren’t complicated. But they are hard to find. My name is Bryan Harris and I am the founder of Videofruit. At Videofruit we reverse engineer and test 100s of growth strategies per year. Then we turn the most effective strategies into detailed step-by-step instructions and case studies for you. Step 1: We research and test everything. Step 2: You get the best strategies. 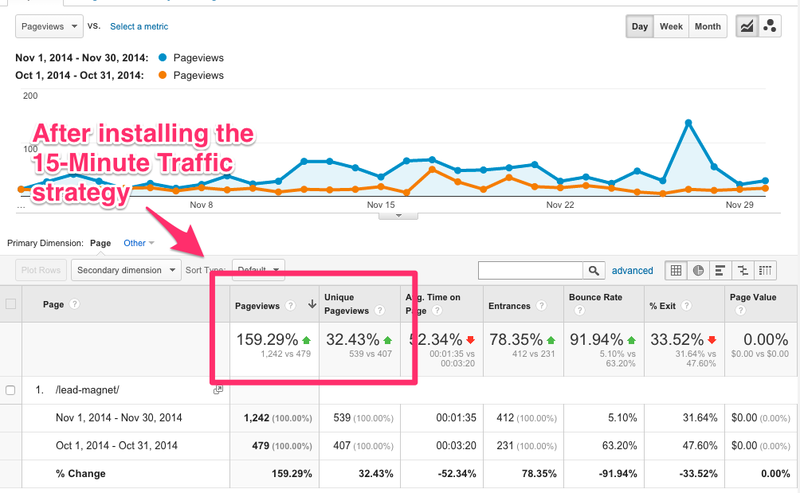 Last month we found one new traffic formula. We installed it and a few days later it produced a 25% increase in organic search traffic. It has resulted in 1,523 new email subscribers and is projected to bring in over $15,000 in sales this year. The best part? It takes less than 15-minutes to implement. The formula isn’t hard. It’s not complicated. But if you don’t constantly research and test new things you’ll miss out on strategies like this that can easily grow your business. Every month we email out a new growth strategy. Just enter your email address below and I'll email the strategy we're testing right now (publishing in a few weeks) along with the 15-minute traffic strategy I mentioned above. © Videofruit LLC. 2013-2017. All Rights Reserved.